From making cuddly bacteria to lessons on Louis Pasteur, here’s our guide for teaching your students the basics of avoiding the dreaded lurgy. Winter brings lots of wonderful things – a new year, snow, the chance to break out your scarf collection. But they are all doomed to arrive during the most disgusting time of the year: cold and flu season. 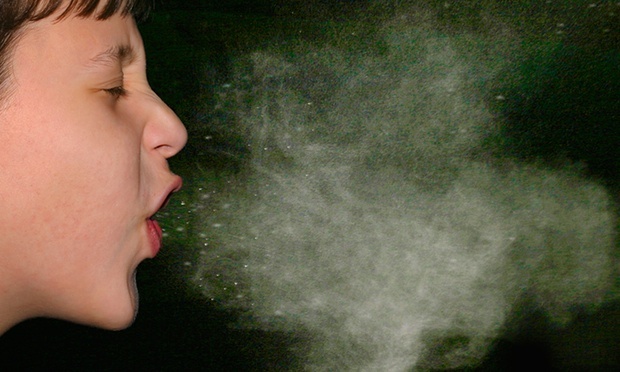 For those in schools, each day brings a chorus of other people’s coughs and sneezes, and a gauntlet of germs to dodge. So how can you teach your students the basics of staying healthy? For key stage 1 pupils, this three-lesson module – linked to the science and personal, social and health education (PSHE) curriculum – from Share Good Times Not Flu offers a simple overview of what it means to be healthy and how exercise, diet and hygiene can help your young charges stay that way. A key stage 2 version, also made up of three lessons , goes into greater detail about how germs enter the body through coughs, sneezes and unwashed hands, and how good hygiene practices can keep them out. This resource pack from e-Bug offers a variety of fun ways to look at germs and microbes, including yeast races (exploring how microbes cause dough to rise), an experiment to see how far germs can spread through handshakes (using glo spray), and a toothbrushing tracker to highlight the importance of oral hygiene. This guide to preventing the spread of bugs through handwashing, also from e-Bug, uses quizzes, colouring and a bowl of water and pepper (yep) to teach pupils the power of soap and water. And you can decorate your classroom with this accompanying poster to reinforce the message. This US guide provides more puzzles, word searches and songs (“If you’re happy and you know it, scrub your hands!”) to ensure your little ones remember to clean their mitts, whileHygiene4Health offers a variety of resources on the topic, including this poster explaining the principles of good hand hygiene. Keeping warm is another crucial tactic in the war against colds and flu, and this BBC lesson introduces the idea of insulation through videos, quizzes and paired work. Once your pupils have mastered the concept, get them to think about the best ways to insulate themselves against the winter weather (try not to scream, “Wear your coats!”). But if – or perhaps, realistically, when – the lurgy strikes your class, you can take comfort in stories. This selection of books to read when everyone is ill includes the classic Miss Polly Had A Dolly (“Polly had a Dolly who was sick, sick sick/So she phoned for the doctor to come quick, quick, quick!”) and Peppa Pig: George Catches a Cold. Refresh sniffly key stage 3 students’ understanding of the difference between bacteria, viruses and fungi with these illustrated guides that can be used as posters or handouts (and includes one of the most terrifying images of mouldy bread you will ever see). Then use this lesson to get them thinking about how the three kinds of microbe spread, including an experiment that tests germ theory by leaving milk to curdle. For another more creative – and rather less gross – way to engage with microbes, get your class to turn felt, thread and stuffing into their own cuddly bacteria, teaching them about the structure of these organisms (along with some handy sewing skills). There’s more on Louis Pasteur and germ theory in this lesson on medicine in the 19th and 20th centuries (aka the age before Lemsip). It explores the development of Pasteur’s world-changing idea, as well as the establishment of the public health system in Britain and its enormous impact on improving the population’s health – even if it can’t yet overcome the tyranny of the common cold. You can give older students a visual lowdown on viruses with this fascinating – if slightly mind-bending – video about how flu attacks work on a cellular level. It zooms in on a single sneeze droplet as it is inhaled by an unsuspecting man, and then hones in further to look at the way the body works against itself to transform one virus into millions more. This Guardian lesson on health and disease teaches older students to distinguish between epidemic, pandemic and endemic diseases, and explores how health statistics are used to prepare and respond to outbreaks. And for a more 21st-century approach, show them this article on how the Food Standards Agency has started using social media to track cases of norovirus. While you’re on the topic of the winter vomiting bug, why not show students what it looks like close-up (remarkably pretty for something that is likely to leave you weeping on the bathroom floor, willing yourself to pass out from puking-induced exhaustion). Why not take the opportunity offered by seasonal queasiness to develop language skills? This German lesson teaches students to describe feeling ill – “mir geht’s nicht gut!” – and to converse with doctors, dentists and chemists to get the right treatment. And finally, the ultimate preventative measure for those of any age is still clean hands – and we shouldn’t assume secondary students are washing theirs properly. This poster from the Health Protection Agency shows them that it needs to be more than a quick rinse and a wipe on the back of their trousers. Display it somewhere prominent – and remember, the season will be over soon. Who are the homeless and how do we count them?